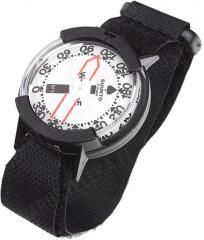 A comprehensive, lightweight and comfortable wrist compass. Quite low profile, this doesn't get in the way like many of the more cumbersome models out there. 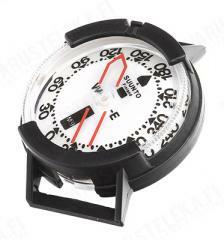 While not as easy to use as a Baseplate compass, this is a indispensable piece of kit. 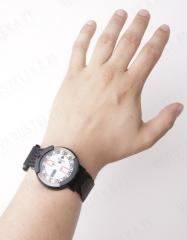 On your wrist you hardly notice, its there, secured by a Velcro strap, with a clear accurate dial, I would not go out into the wilderness without this item. Remember, "2 is 1 and 1 is none", a perfect back up compass, always with you, having a compass hanging around your neck is not always the perfect option. After testing, it appears to work well in my motor vehicle, and motorcycle, handy for when the GPS drops its connection, when you in the middle of nowhere. Shines as a wrist compass (no surprise). 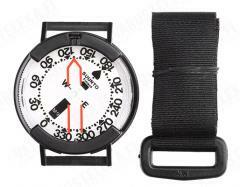 Also possible to use on the map, just take it off and align the wriststrap with your route and align the north of the M9 with map north. Off you go, but of course, a baseplate compass will be easier to work with and more precise. I tend to leave my M9 on my wrist and bring a small baseplate compass as well.